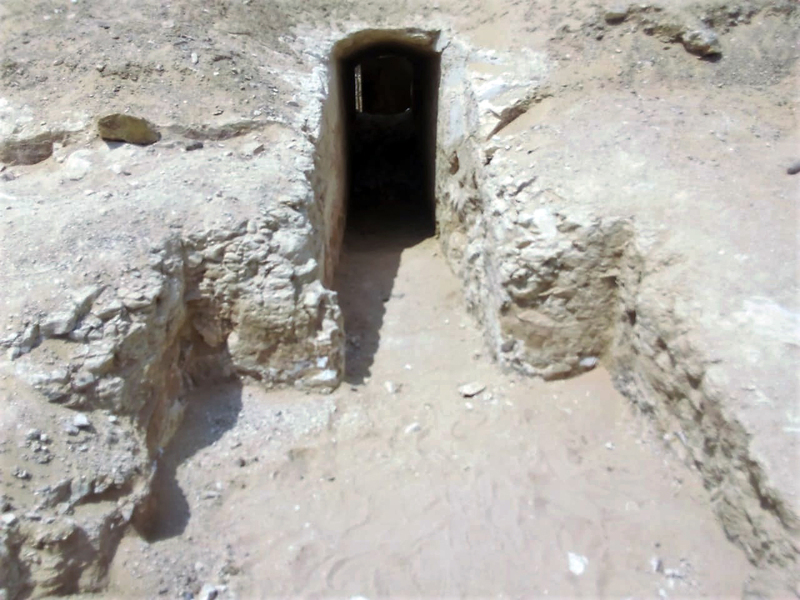 Adel Okasha (Director of Cairo and Giza Antiquities) told Luxor Times “The disdovered tomb is about 300 meters to the North-East of Senusret I’s pyramid. It consists of two parts, first the open courtyard which leads to a vaulted ceiling corridor with some visible hieroglyph inscriptions. 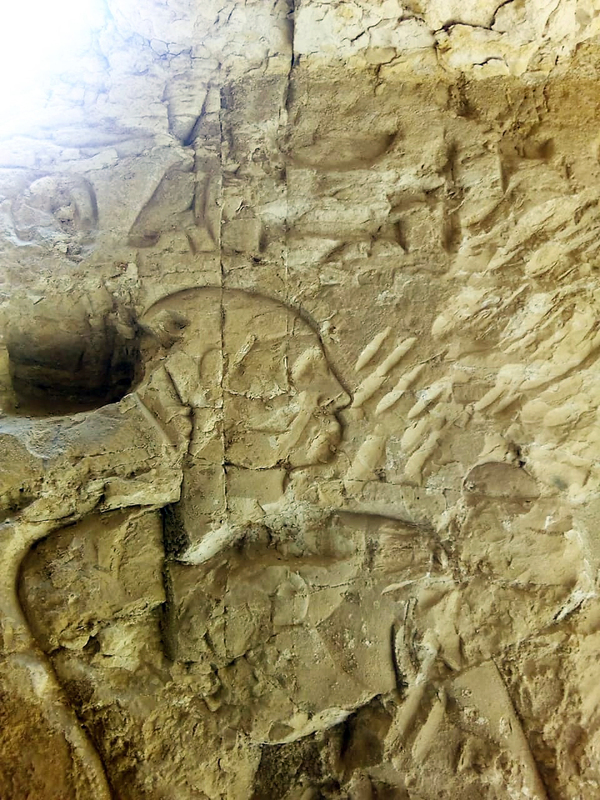 Mr. Mohamed El-Daly (Director of Dahshur and Lisht Antiquities) said “The second part of the tomb is a burial shaft in the open courtyard and measures 100cm x 80cm and about 3 meters deep. 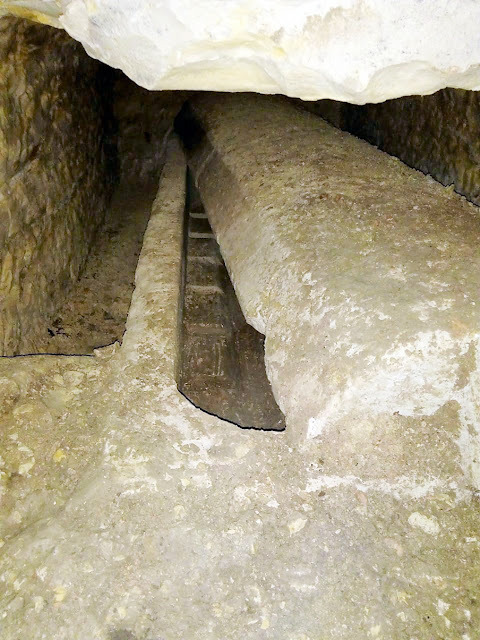 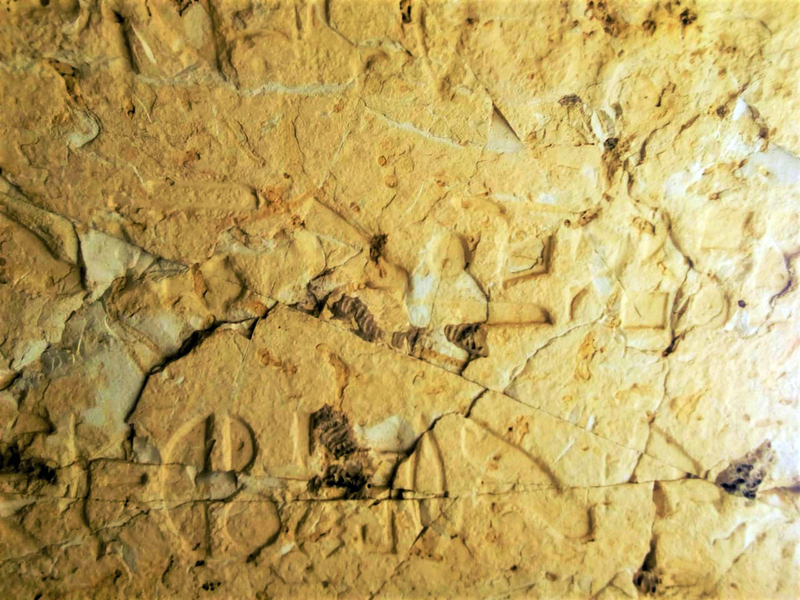 Inside the burial shaft to the west, a corridor leads to the first burial chamber which is an undecorated room contains to the north wall an empty undecorated limestone sarcophagus and to the south side an entrance to another room contains another empty undecorated limestone sarcophagus, but it is unique as it has inside different geometric formations (shapes).